The OCC is what is known as a cluster for cancer research and development, and it has around 62 members from Norway, Sweden, Denmark and Scotland. The members include research institutions, biotechnology firms, patient organisations and other parties involved in the field. 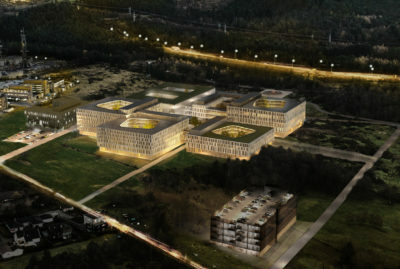 These members and Oslo municipality wanted to set up an innovation park in order to create a facility in which the researchers of the future would have space to develop. There was a strong desire for the park to be located near the Radium (Cancer) Hospital. 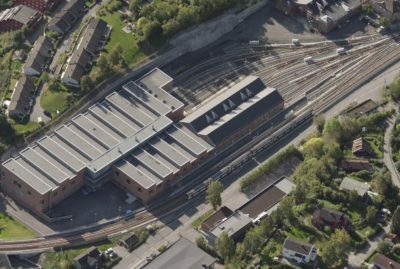 The choice fell on the plot which housed Ullern Upper Secondary School. The school’s buildings were fairly dated, and the school needed new premises. It was therefore decided to include the upper secondary school in the Innovation Park and thereby establish a multifunction building which could benefit everyone. Aas-Jakobsen was contracted by Skanska to assist with the structural safety design. The nature of the plot meant that geotechnics and geology were important factors in the design of the solution. Aas-Jakobsen therefore performed the design work in close collaboration with GeoVita. The building has a traditional structural system with a sustainable, simple and robust design. The money has largely been spent on technical systems and equipment. The cellar spaces are slightly below the water table, which meant that the buildings would be buoyant and also had to be watertight. Special ventilation was installed, which in places was complex and had to be adapted to needs of the users, in not just the laboratories in the research zone but also the school. Since the building houses a number of different functions, considerable resources were devoted to logistics and movement patterns. It was important to ensure that the various zones were not accessible to unauthorised personnel. In other respects, the building was designed to have shared entrances, functions and a shared canteen, allowing the various users to get a sense of each other’s activities. This concept is fairly unique, at least in a European context. For example, the school’s specialist course in pharmaceutical technology benefits from the pharmaceutical production facilities of the hospital pharmacy. The building stock amounts to around 36,000 m² and is flanked by the Radium Hospital in the west, where the data centre handles high-volume logistics which are obviously also sensitive. The area to the west is also busy every day with traffic in the form of taxis and patient buses, while the nearest neighbour is the Research Building, which is particularly sensitive to noise and vibration, because of the research animals kept there. The site is bordered to the north by residential buildings, while there is a listed forest to the east. The original plans to approach the project from two sides therefore had to be abandoned - everything had to be approached from the south, which resulted in challenges in terms of logistics and schedules. Aas-Jakobsen executed this as a BIM project, in which everything except reinforcement was modelled in 3D. 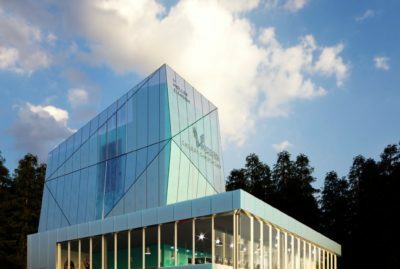 We gained useful experience through the use of BIM across the disciplines and sharing the model with the contractor, Skanska. OCCI was a challenging project for Aas-Jakobsen, with a number of different problems within the same project. Taking the building stock’s various functions and different uses into consideration, combined with challenging ground conditions and plot restrictions, gave Aas-Jakobsen’s Buildings Department useful experience with this type of assignment.